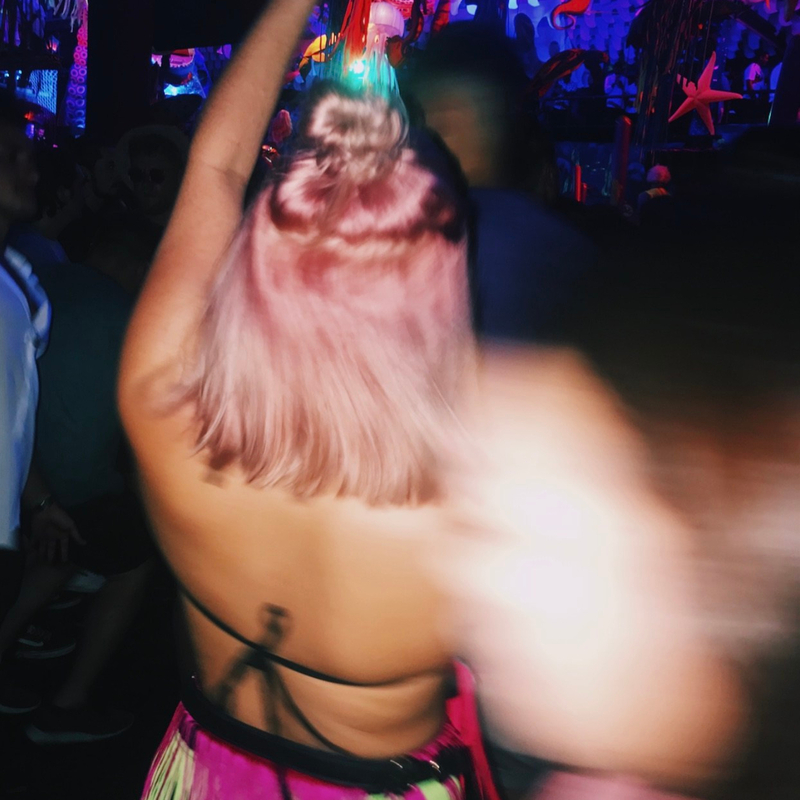 Ibiza: Perks, Prices and Partying! 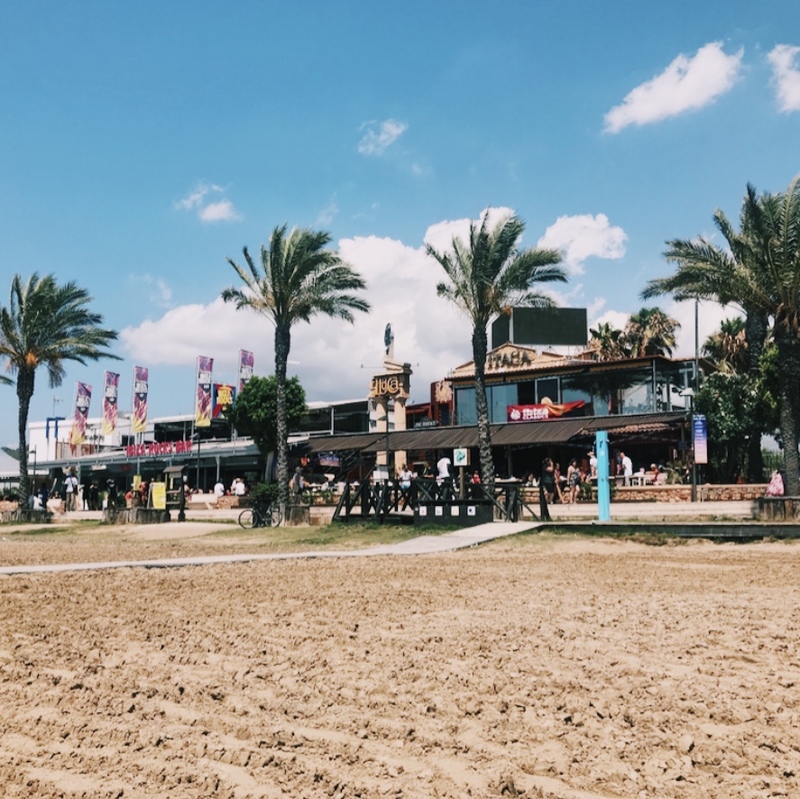 We are all told about Ibiza being the most expensive place to travel to… trust me, that will not hit you until you have been and experienced it yourself. It is very pricey but 100% worth every penny that I saved over the year. We booked our holiday with Jet2 Holidays.com which includes the hotel, flights and transfers. We wanted to be located in San Antonio, and then if there were clubs we wanted to travel too we took the Disco bus, which was just €3-5. We travelled on the bus to Amnesia and Ushuaia, and they ran from 12 o’clock at night to 6 in the morning. We were super lucky that we had such a clean hotel and such a great view from our balcony. It was so nice waking up to this view everyday. 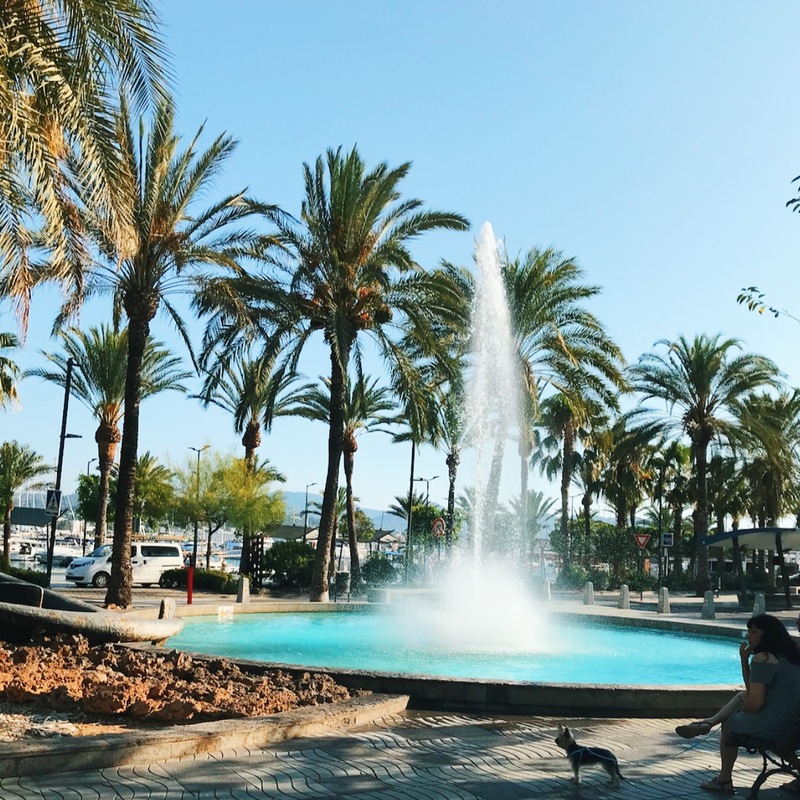 The hotel was perfect for what we needed it for it was called Central Park Apartments, and was a 13 minute walk from Ocean Beach Ibiza, along the coast to the left and the same the other way to Mambo and 15 to Ibiza Rocks Hotel. How much spending money do I need? Is the main question asked when travelling to Ibiza or anywhere really and I can see why. You need to make sure you take enough for when you are out there and more than what you would usually spend on a holiday, as it is far from cheap. I was very wary of the prices out there and that is why I decided to take just over £1000, but I did not use all this. THANK GOD! I spent around €680, which I didn’t think was too bad for 5 nights. We decided to buy some alcohol at the airport duty free, so that we could use this for pre drinking. 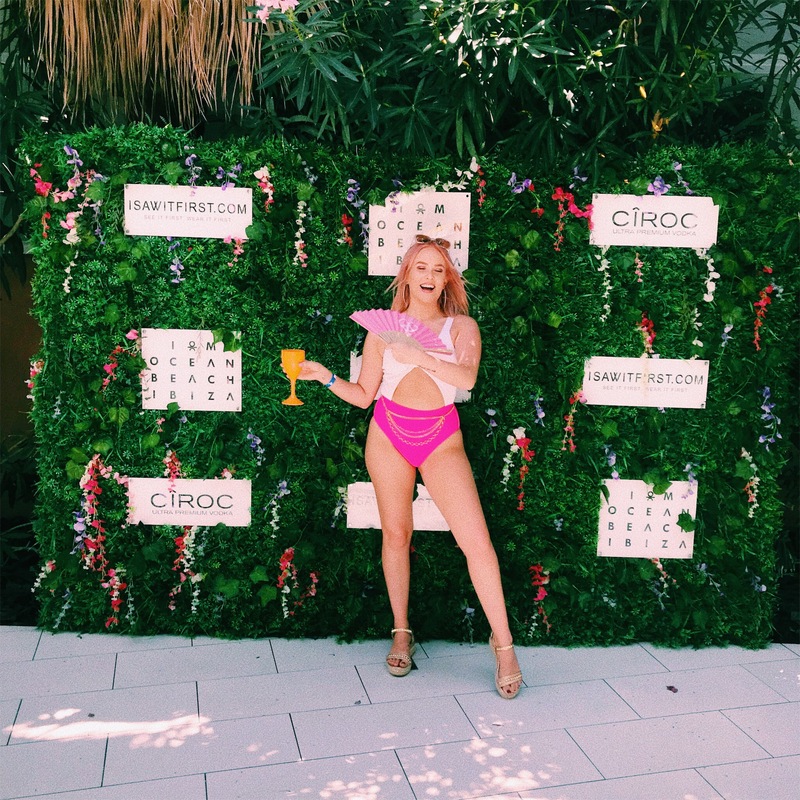 We bought a bottle of Ciroc which saved us a lot of money in the grand scheme of things. Also, it was pineapple flavour so definitely worth it haha. We pre-booked all of ours online, where all the club entry’s were around €50 each. However, you could book them when you are there as they have plenty of stores that sell the tickets and they are sometimes a little cheaper around the €40. 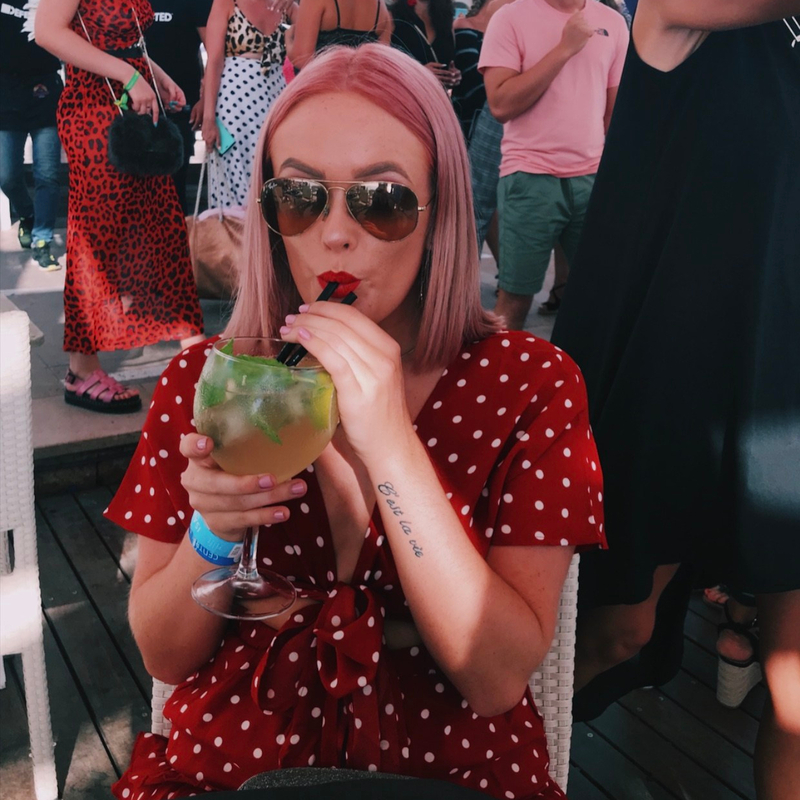 The drink prices are the most obscene I have ever witnessed, and it will take you a while to get your head around it… in stores that are local and outside of the clubs the drinks are reasonable prices I would say normal. When in the clubs if you can hack drinking beer and enjoy it then I would recommend going for that, as it can be a little cheaper and you can put your finger over the top of the bottle. Because you alway’s need to be careful out there! These are just a few examples of the prices, so if you prepare yourself for this then you won’t be too shocked. We decided that one night that we were going to have off and relax, was at Mambo. You have to book a table, we chose the one where minimum to have to spend €140 between you both to enable you having the table for the evening (3 hour stay). Although, this seems a lot trust me you can spend that with no worries. The prices at Mambo are also very expensive but if you wanted to go somewhere a bit cheaper for food they have a place next door called Savannah which was more reasonably priced. I know the prices seem outrageous now but when you are out there, it is such an amazing experience that you just pay it. You will never call anything in the UK expensive ever again I promise haha! I am just going to name the clubs that I went into, I am not saying that these are the best of the lot but these are the ones that people rave about the most. So Ushuaia, is just amazing when you go in it’s like no other hotel that you have visited. They have the biggest stage ever! 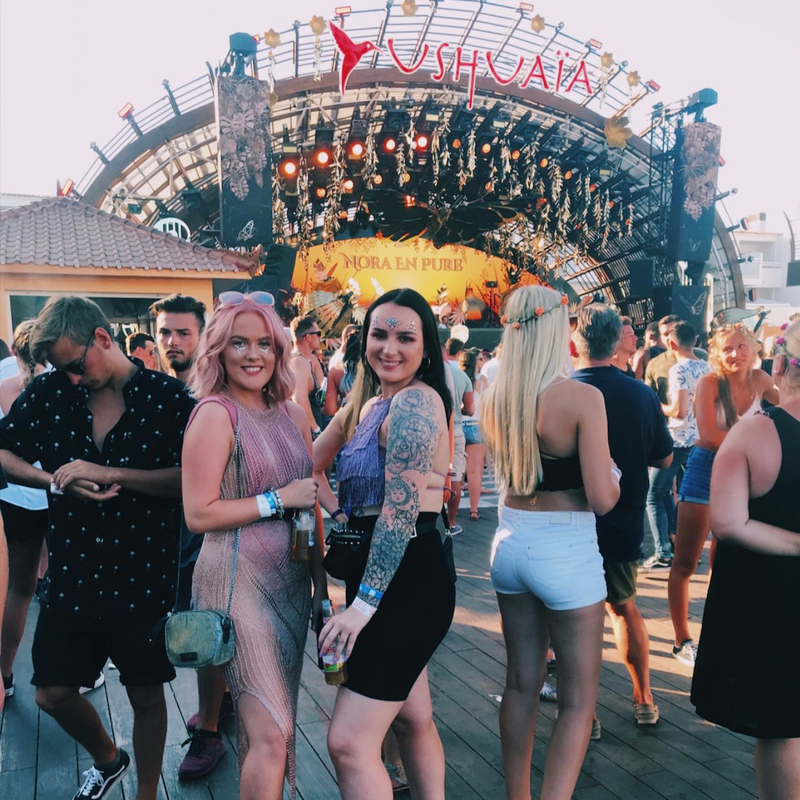 We went to the Tomorrowland event with Dimitri Vegas and Like Mike and it was insane! 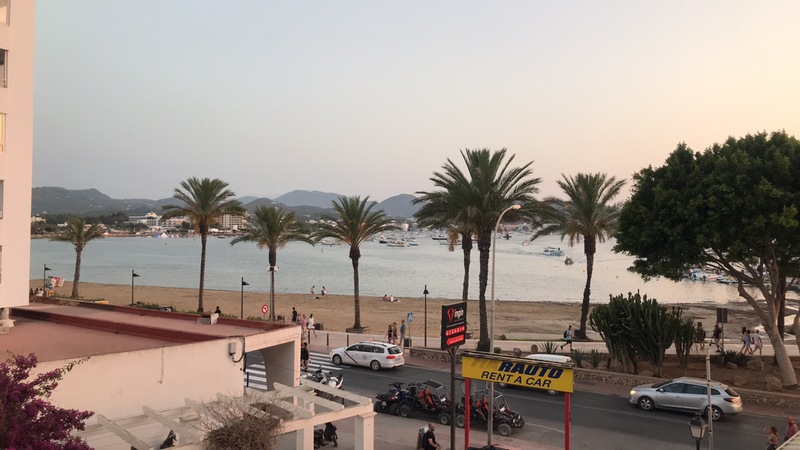 We stayed there from 5pm-12pm and then went across the road to Hi Ibiza which was also joined to the Hotel. So Amnesia was a bit further out from our hotel so we had to get the disco bus which run for about €3 euros there and back and took about half hour to get to Amnesia. 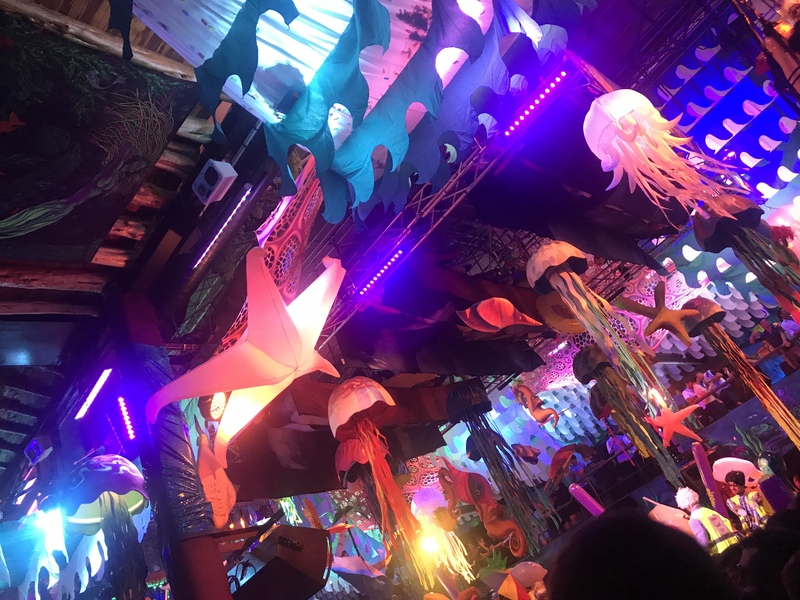 The event Elrow was just something else, it was the most colourful club I have ever been too and the music was amazing. If you want somewhere that you have never experienced before this is the place to go. Have to say this was a strong favourite of mine!!!! 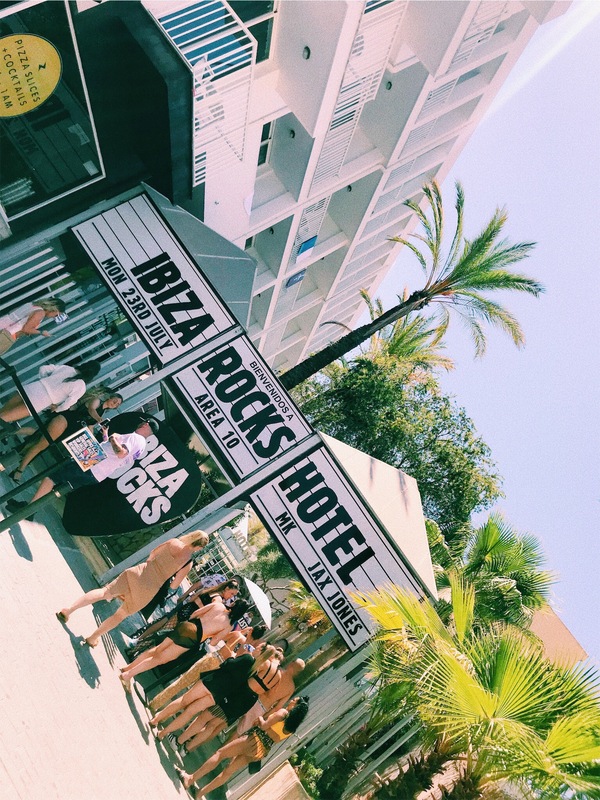 We saw MK perform at Ibiza Rocks and it was amazing because the weather was lovely. This event is more like a pool party and smaller than the others, but still amazing! This was one of the best days, however the weather didn’t treat us the best it was still warm which was the main thing. This is the kind of event that you feel you need to dress up for because there are so many people wearing different things and you want to look your best. Also you need to have a photo in front of the flower wall because who wouldn’t. Originally, we didn’t book a bed for Ocean Beach, but at 2:30pm they resale the beds that people don’t turn up for, at a cheaper price. So we paid €75 for two beds and then had food and some cocktails which were lovely, so highly recommend waiting in the queue for a bed at a cheaper price. I hope this post helped you out, with where to go and how much money you may need when you are over there! Let me know if there are any places you know that are good there as I 100% will be returning next year! Previous Post A little life update. Next Post What I look for in a blog. 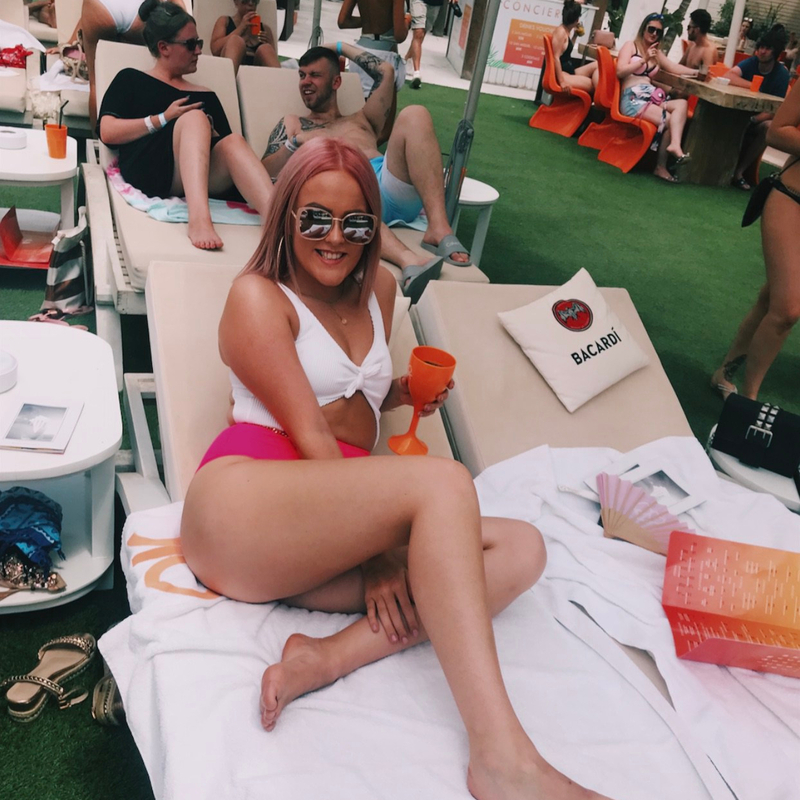 Great photos of a fun trip…and yes, those prices are insane for drinks but I guess it’s to be expected!